Batman #30 is simultaneously the final act of Zero Year and part one of Savage City. 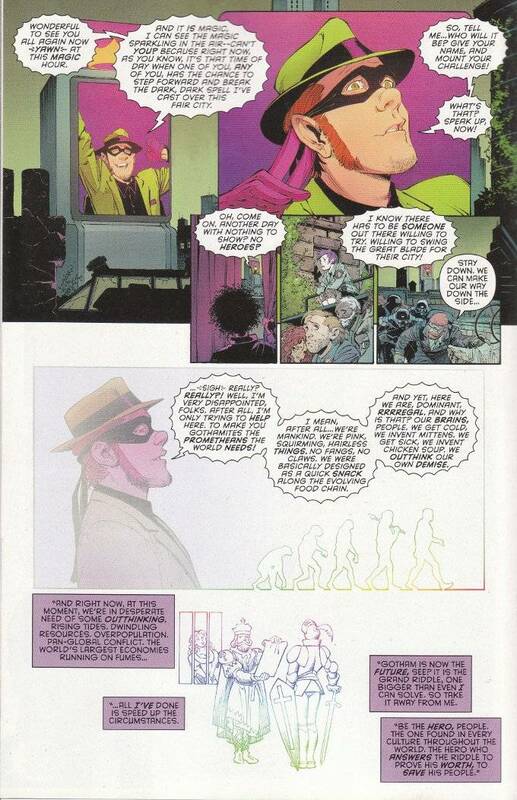 We finally learn the meaning of the title Zero Year, as The Riddler - now firmly in charge of Gotham City - elected to establish a new calendar when he took over. It remains to be seen how this will affect Julian Day but I'd just love it if The Calendar Man wound up saving the day instead of Batman, as he fights for the concept of time itself! This is probably why I review comics instead of writing them. 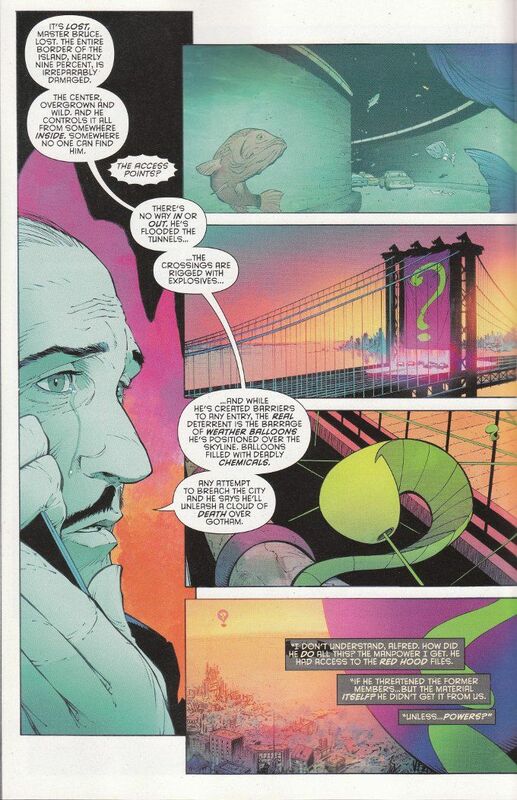 I appreciate Scott Snyder's attempts to turn The Riddler into a more credible villain but what The Riddler has accomplished here strains credibility. At least, that's what I thought until Eddie showed his face on the jumbotron in Gotham's equivalent of Times Sqare and Snyder reveals that while the stakes of the game may have been raised, Riddler is still the same know-it-all who has to prove he's smarter than everyone else. What makes this story so revolutionary is that - for the first time in a long while - you actually believe Edward Nygma is as smart as he thinks he is. And perhaps even more astonishingly, Batman has actually lost a battle to him. Twice even! I hate to dismiss the awesome artwork of Greg Capullo and Danny Miki by describing their work on this issue as "up to their usual standard" or some equally humdrum phrase. And yet, that sentence - while dull - would be accurate. Capullo and Miki consistently bring their A-game to this title and it is one of the best looking books on the shop stands as a result.